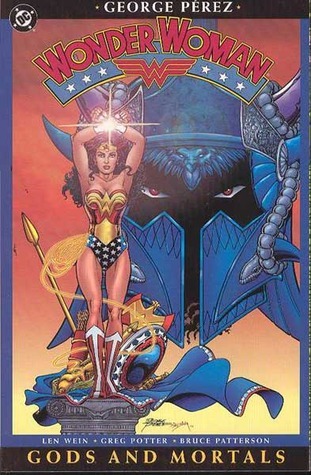 George Pérez’s Wonder Woman was one of the best ever runs on the Amazon in her 75 year history to date, reflected in better than usual sales, and critical favour. This first volume is superior superheroics. 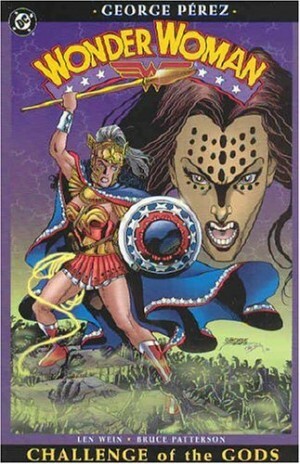 In 1986, at the end of Crisis on Infinite Earths, Wonder Woman, whose comics had become dull and routine, was transformed back into the primordial clay from which she had sprung, so that she could be relaunched in 1987. But there was a problem. Writer Greg Potter had some radical ideas about the character’s direction, but no big name artist was attached. 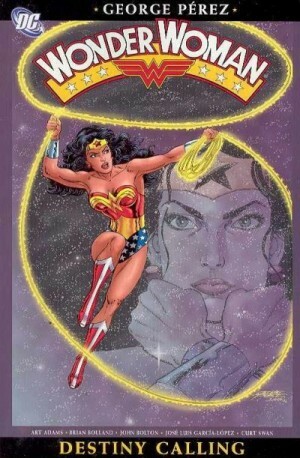 Then George Pérez, a superstar on the back of New Teen Titans and Crisis, offered to draw the series for six months. He stayed, one way or another, for five years. Potter didn’t, departing after two issues when it was clear that his vision differed significantly from Pérez. After that it’s Pérez all the way, with Len Wein coming on board solely to put words into characters’ mouths. Pérez does not give the reader the same old, same old. Inspired by Walt Simonson’s Thor and drawing a Paradise Island story for Teen Titans, Pérez significantly increased the mythological content that had always circled around Diana. He embedded it much more firmly as part of her essential character, rather than lightly-worn decoration. The Greek gods are actively involved, and the clash between the Amazons and Heracles (Pérez rigorously uses Greek rather than Roman names) is significant. Gone is Diana Prince, and Wonder Woman as a conventional superhero. The setting is relocated to Boston, and familiar names are integrated wtih new characters. We get an older Steve Trevor who isn’t a love interest for Diana, Etta Candy in the USAF, historian/archaeologist Julia Kapatelis, Diana’s mentor in Man’s World, and venal publicist Myndi Mayer. The artwork is gorgeous, sympathetically inked by Bruce Patterson. If you thought Pérez was enjoying himself in Teen Titans, he’s really enjoying himself here. 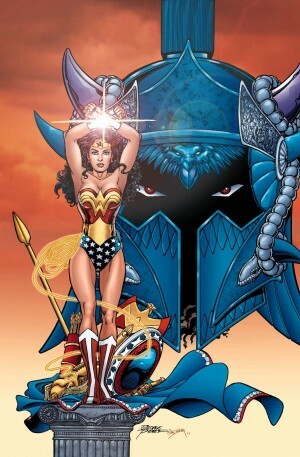 Characters are redesigned, most significantly Ares, transformed from the silly 1940s Mars into a brooding personification of evil, with much in common with Darkseid or Sauron. These redesigns are obviously Pérez, but also, most notably in the case of Phobos (see sample image), reminiscent of the 1940s villains created by Harry Peter. Pérez’s storytelling and panel layouts are dynamic and pleasing to the eye. Sometimes he’s enjoying himself a bit too much – he does relish drawing scantily-clad Amazons, but he offsets this with tight plotting, showing a distinctly feminist side, as Diana sets out to thwart Ares and his minions. The story resolves itself entirely satisfactorily. 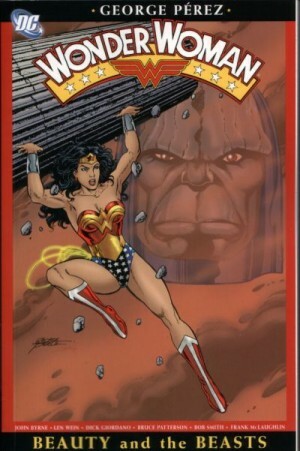 This collection has a new cover by Pérez, and is rounded off with relevant entries for Who’s Who in the DC Universe, plus other Pérez work for the character. 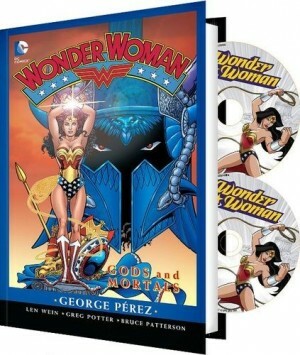 There is also an edition which packages the comic with the 2009 Wonder Woman animated movie, directed by Lauren Montgomery, and written by Gail Simone and Michael Jelenic. 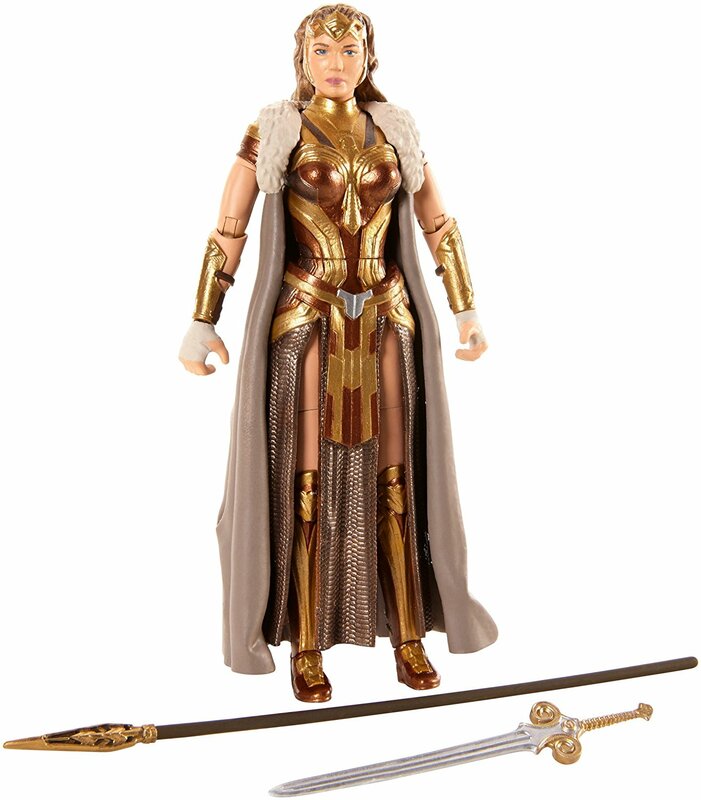 It’s based very loosely on Gods and Mortals, in the sense that Ares is the villain in both, but this is a harder Wonder Woman, in an often surprisingly violent story. It’s all right, and Nathan Fillion as Steve Trevor is a trick missed by the 2017 live action movie, but it isn’t in the same class as Pérez’s work. 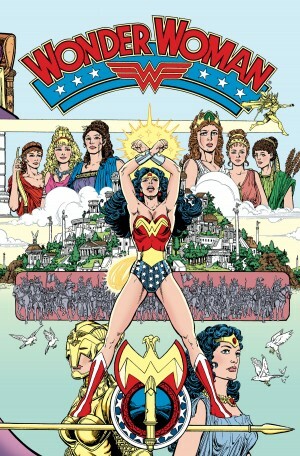 These comics can also be found in Wonder Woman by George Pérez, volume one, and Wonder Woman by George Pérez Omnibus, volume one, and the Wonder Woman 75th Anniversary Box Set. The series continues in Challenge of the Gods.